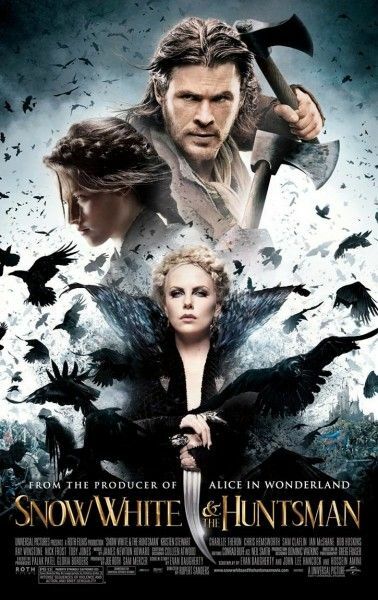 While Rupert Sanders’ Snow White and the Huntsman continues to battle for more box office earnings, Universal is already moving forward with the sequel. With the “origin” story in the Snow White franchise thus set up, it only goes to follow that the next chapter will be fast-tracked. Universal has set David Koepp (Spider-Man) to write the script. Hopefully, the sequel will have a more cohesive storyline, better dialogue and provide a payoff to its promises, something we discussed at length on last week’s podcast. Sanders may or may not be back, but stars Kristen Stewart and Chris Hemsworth are optioned for two more films. 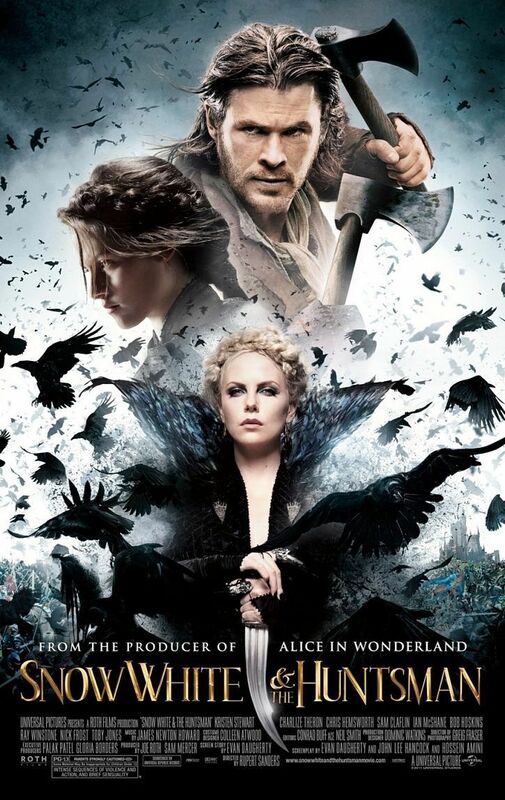 Hit the jump for more on the sequel to Snow White and the Huntsman. Deadline reports that Universal is anxious to move forward with the Snow White and the Huntsman follow up. The current iteration was a film we were all looking forward to seeing, but ended up being disappointed to varying degrees. Partly to blame was Relativity Media’s push of their own take on Snow White, Mirror Mirror. Then, having a debut director who cut his teeth in commercials didn’t help, although I was impressed by the array of visual displays at work in the film. What killed this picture were the three disparate storylines: an epic rebellion, a fantasy romance and a coming of age tale; none of the three came together in a unifying way that paid off in the end. That’s unfortunate because I think we all agreed that there was a decent story in there somewhere; it could have been afforded more time to develop. There is an opportunity to do that with a sequel…but is a sequel necessary? In my opinion, no; there’s not much story left to tell and not much reason to find one. And for all of Koepp’s hits (Mission: Impossible, Jurassic Park, Spider-Man), his more recent misses (War of the Worlds, Zathura: A Space Adventure, Indiana Jones and the Kingdom of the Crystal Skull) give me reason to pass. Let us know what you think in the comments. Rumor: Could Angelina Jolie Direct FIFTY SHADES OF GREY Adaptation?